The link above will take you directly to the news as it happens. Read about how you can become safer on the Rural Watch Scheme two sister pages. Always make sure that when you dial the Police that you tell the operator that Shotteswell is in Warwickshire, to avoid your emergency call getting downgraded. In an emergency, when there is a crime in progress or a life at risk, always call 999 or 112 or use Emergency SMS. To report less urgent crime or disorder call 101*, the non-emergency number, or Typetalk 18001 101. If English is not your first language, please call 01926 415 000 and our operators will contact translators. If you need to visit us or call your nearest contact point. *Calls from landlines and mobile networks cost 15 pence per call, no matter what time of day or how long your call. PCSO Lisa McGaffin has joined the team and is currently completing her training across the Stratford and Wellesbourne area. Do you know who is on the telephone? 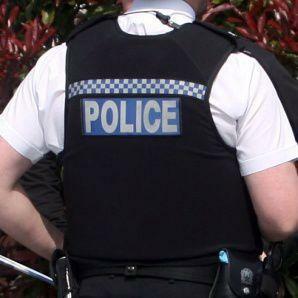 Although Shotteswell falls into Warwickshire Police Authority area, being so close to the Oxfordshire borders, naturally many of the incidents going on in nearby villages or the town of Banbury will affect, or be of interest to our residents. The link above will take you directly to the news as it happens. Protect your property, Shotteswell is a Smart Water protected area. Warwickshire Police endorses the SmartWater property marking system which is a unique solution containing a blend of harmless chemicals providing a unique forensic fingerprint, similar to DNA, the components of which are recorded by the Forensic Science Service. The solution is simply applied to one’s possessions without the need to add any further detail: the mere presence of the solution is sufficient to trace the items back to the owner. When an item is subjected to an ultra violet light the presence of SmartWater is immediately obvious by the tell-tale fluorescent glow. The solution is perfect for marking items that other property-marking methods cannot achieve, such as jewellery and antiques.